The North Atlantic Treaty Organization (NATO /ËˆneÉªtoÊŠ/; French: Organisation du traitÃ© de l'Atlantique Nord; OTAN), also called the North Atlantic Alliance, is an intergovernmental military alliance based on the North Atlantic Treaty which was signed on 4 April 1949. The organization constitutes a system of collective defence whereby its member states agree to mutual defense in response to an attack by any external party. NATO's headquarters are located in Haren, Brussels, Belgium, where the Supreme Allied Commander also resides. Belgium is one of the 28 member states across North America and Europe, the newest of which, Albania and Croatia, joined in April 2009. An additional 22 countries participate in NATO's Partnership for Peace program, with 15 other countries involved in institutionalized dialogue programmes. The combined military spending of all NATO members constitutes over 70 percent of the global total. Members' defense spending is supposed to amount to 2 percent of GDP. NATO was little more than a political association until the Korean War galvanized the organization's member states, and an integrated military structure was built up under the direction of two US supreme commanders. The course of the Cold War led to a rivalry with nations of the Warsaw Pact, which formed in 1955. Doubts over the strength of the relationship between the European states and the United States ebbed and flowed, along with doubts over the credibility of the NATO defence against a prospective Soviet invasionâ€”doubts that led to the development of the independent French nuclear deterrent and the withdrawal of France from NATO's military structure in 1966 for 30 years. After the fall of the Berlin Wall in 1989, the organization was drawn into the breakup of Yugoslavia, and conducted its first military interventions in Bosnia from 1992 to 1995 and later Yugoslavia in 1999. Politically, the organization sought better relations with former Warsaw Pact countries, several of which joined the alliance in 1999 and 2004. 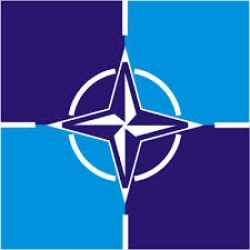 Article 5 of the North Atlantic treaty, requiring member states to come to the aid of any member state subject to an armed attack, was invoked for the first and only time after the 11 September 2001 attacks, after which troops were deployed to Afghanistan under the NATO-led ISAF. The organization has operated a range of additional roles since then, including sending trainers to Iraq, assisting in counter-piracy operations and in 2011 enforcing a no-fly zone over Libya in accordance with U.N. Security Council Resolution 1973. The less potent Article 4, which merely invokes consultation among NATO members, has been invoked five times: by Turkey in 2003 over the Iraq War; twice in 2012 by Turkey over the Syrian Civil War, after the downing of an unarmed Turkish F-4 reconnaissance jet, and after a mortar was fired at Turkey from Syria; in 2014 by Poland, following the Russian intervention in Crimea; and again by Turkey in 2015 after threats by the Islamic State to its territorial integrity.